Since 2011, Megan Simpson has been employed at Focus Centers of Asheville, a private practice in psychotherapy and neurofeedback located in Asheville, NC. Before joining the team, Megan had an established private practice as a play therapist and in-home consultant for parents and caregivers of children with autism. She travelled extensively throughout the US, Canada, and England to educate families on the usefulness of a 1:1, child-centered, home-based, play therapy program to help individuals to thrive socially and academically. During this time, she noticed several of her families and their children to show drastic improvements and discovered that these families also incorporated neurofeedback into their home programs. Thus, Megan’s passion for neuroscience and neurofeedback began. Megan received her master’s of science in clinical mental health counseling from Western Carolina University in 2012. 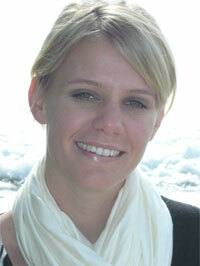 She is a licensed professional counselor in the state of North Carolina and is board certified in neurofeedback. She currently pursues her QEEG certification. Megan also co-authored a manuscript, Working With Developmental Trauma: Results of Neurofeedback Training With Adolescent Females and Counseling Implications that has been accepted into the Journal of Behavioral Health and is slated for publication in 2018. For the last seven years, Megan has implemented neurofeedback into three residential treatment centers in western North Carolina. She has seen first-hand the drastic changes that occur in calming the arousal levels of the students she works with. Megan’s next venture is to be accepted into the doctoral program of Educational Neuroscience at Vanderbilt University. Her hope is that neurofeedback will become a treatment option for all individuals in mental health facilities and schools.